In 2009, the Alter-Ciné Foundation received 122 documentary submissions from 37 countries. 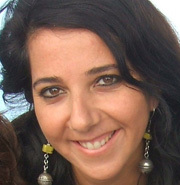 Eliane Raheb, recipient of the $10,000 Alter-Ciné Foundation grant. Assaad Shaftari is a Lebanese Christian. In 1973, aged 18, he felt a threat to his Christian identity when he saw “his inferior brothers”, the Muslims, were gaining political power. To defend “the Christian cause”, he joined a major Christian “the Phalanges”, where he became highly involved in the civil war through developing the intelligence system of the armed branch of the militia named “Lebanese forces”. After the war, in 1990, Lebanon pardoned all war crimes in the Amnesty Law, but Assaad felt a terrible culpability and admitted being responsible for kidnapping and killing hundreds of people. “The Confession” will give him the space to confess his acts and confront himself and his victims. The film will try to analyse the reasons behind fanatic attitudes that create potential war monsters and will provoke the involved people to take responsibility. Dara Kell, recipient of a $5,000 Alter-Ciné Foundation grant. “Dear Mandela” is a fascinating glimpse into the dark underbelly of post-apartheid South Africa as its leaders face daily, often violent protests in shack settlements across the country. It is a cautionary tale as cities around the world embark on similar slum clearance programs, and serves as an urgent reminder of the basic right of all human beings to a decent life. Gonzalo Montiel, recipient of a $5,000 Alter-Ciné Foundation grant. The film “Japón” was born during a film workshop organized for young intellectually handicapped people. Five participants and two coordinators launch out on an adventure to create, act and film the stories of their own making. Japón is a soccer team in perpetual competition with its rival team, Jabón. Each workshop participant relates his own story: Messi, the kicker, is in love with Esmerelda, whom he hopes to marry; Borgez is a poet in search of his dream… Lacone travels incessantly by bus and sings like Luis Miguel… Raúl, the team’s goal keeper, prepares a barbecue for his friends. The intellectually handicapped are generally marginalized by society, victims of prejudice and stereotypes. “Japón” represents an alternative place where individuals can meet, play and recognize each other, an inclusive environment characterized by respect for human diversity and shared values. Noa Ben Hagai, recipient of a $5,000 Alter-Ciné Foundation grant. 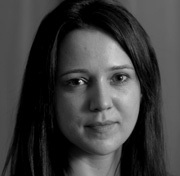 Noa Ben Hagai, a 38 year-old filmmaker from Israel, received a $5,000 award for her project “Blood Relation”. At 14 my grandmother's sister disappeared from her home in Israel. Years later, she started sending my family letters with a desperate plea for contact, from a refugee camp, where she lived as an Arab. My Jewish family chose to turn their back on their Arab relative. I discovered her letters after my grandmother died and I set on a painful quest, uncovering the past. I search for my lost family in territories occupied by my country and reveal a story that could only be told in the war-torn Middle East, about one family, on both sides of a conflict.